Sony’s Santa Monica studios are done with PlayStation All-Stars Battle Royale, and has revealed that the game won’t be getting any more DLC content. On the brighter side, the studio will continue to release patches for the game (expected in Autumn), and release some previously unreleased costume packs later this month. A patch to address Game balancing is still in early development, and won’t be available until Autumn according to the studio. The studio are also planning to release four costumes, previously only available in North America via pre-order, completely free on the PlayStation Store on August 27th. These four costumes are for Dante, Raiden, Heihachi, and Big Daddy. Finally, Zeus + Isaac’s third costumes will also be made available free, and will be released in Autumn along with the balancing patch. 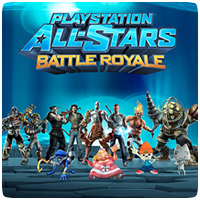 First, thank you for your continued and passionate support for PlayStation All-Stars Battle Royale. We’ve had a lot of challenges along the way, and we appreciate your dedication and commitment to the game. We understand there have been a lot of questions which we have been unable to answer. Today, we’d like to hit those head on and share our plans for the future. – There will not be any new DLC characters or environments released for PS All Stars. We were proud to work with SuperBot Entertainment and they created a great game, but the characters that have already been released to-date represent the full content for PS All Stars. – In the course of any game’s development, there are always elements that never quite get finished or the team decides not to use in the final game. Some of these additional materials from the game’s development phase have been recently released, but unfortunately these are very far from finished assets and were not included in the final game for a number of production and legal reasons. – Balance Patch: This is still in the early stages of research and development. Even if everything goes smoothly with the development and implementation, the patch will not be finished until later this fall. In particular, we’re assessing all character strengths, weaknesses, and functionality for adjustment considerations in this patch. We have been monitoring your feedback in the forums, and will continue to follow your thoughts throughout the process. – We have a third set of costumes for Dante, Raiden, Heihachi, and Big Daddy that were only exclusively available as pre-order bonuses in the US. While the other pre-order costumes were eventually available for sale through the PlayStation Store, these last four costumes were never released. We are going to release these four costumes on PSN as a completely free digital download to everyone on August 27. We’ll keep you informed as the date approaches. – Zeus + Isaac’s third costumes will also be made available free. This will require some back-end work, and so these two costumes will go live with the balance patch release later this fall. When they are released, these costumes will also be free for everyone to download from the PlayStation Store. – Monthly Tournament Leaderboard Resets: We are aggressively looking into the issue of title belts not being correctly appropriated to some people based on their seasonal performance. We do not have a fix at this time, but will keep you posted on our progress. In the interim, starting today, we are resetting the overall leaderboards, and will continue this on a monthly basis. Monthly seasons are back! Along with this effort we are going to establish a set of community activities that will be communicated on the official All-Stars forums, designed to recognize the top monthly competitors. On a personal note, we want thank everyone for their dedication to the game. There have been a lot of challenges on the development side, and for the players as well, but it’s this kind of passion from players that inspires us to try and move forward, even during difficult times.